Coaxial cabling can make the difference between flawless RF performance and total system failure. 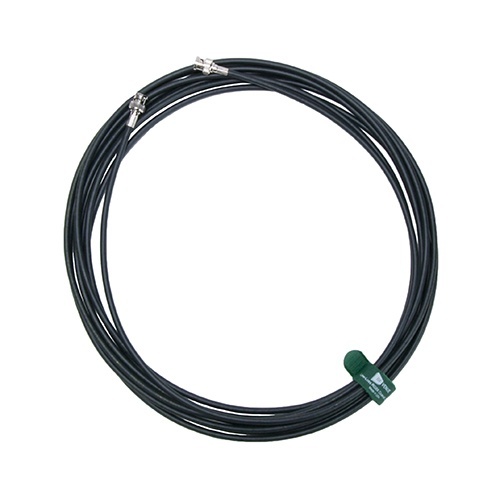 Even the slightest crimp or ding in coaxial cable can cause signals to drop sharply or short out. RF Venue provides premium made in USA low loss, 50Ω RG8X coaxial cable with BNC male connectors for wireless audio applications. Our cables are custom run to our specifications: double shielded braid over foil with a perfect balance between loss and flexibility. We terminate in-house and QC on calibrated Agilent network analyzers for guaranteed performance. We stock 25' and 50' lengths. Custom lengths available, contact us for pricing.